“In a strongly-worded judgment handed down today (3 August 2018), the court quashed regulations implementing cuts to payments for document-heavy crown court cases. The verdict is important because evidence-dense cases are becoming the norm due to the prevalence of digital devices. Law Society president Christina Blacklaws said: “This is a significant ruling. Criminal solicitors provide a vital public service. We have consistently warned that this fragile criminal legal aid market cannot stand further cuts. 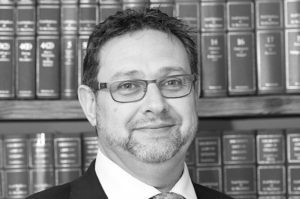 “The changes to the Litigators Graduated Fee Scheme (LGFS) were introduced in December 2017 and have meant a huge amount of work on the most complex crown court cases has gone unpaid. The Court ruled the Ministry of Justice’s (MoJ) failure to disclose the statistical analysis underpinning the decision made the consultation unfair. That analysis was disclosed only during the course of the litigation. Commenting on the methodology applied by the MoJ to justify the cut, Lord Justice Leggatt and Mrs Justice Carr DBE concluded that the calculation was “a flawed analysis on which no reasonable authority would have relied.” Their findings came in light of expert evidence – which the MoJ did not rebut – put forward by a leading academic commissioned by the Law Society. Crucially, the judgment comes on the back of a hard-hitting Justice Select Committee report, which said cuts to criminal legal aid are tarnishing the reputation of the justice system and denying people basic legal advice when they most need it. Christina Blacklaws said: “In the light of this ruling, we would urge the Government to restart discussions to try to formulate a revised approach to the LGFS that will remunerate lawyers fairly for the work they have to do. We as the Law Society stand ready to help the government to this. “We recently published new data showing that in 5 to 10 years’ time there could be insufficient criminal duty solicitors in many regions across England and Wales, leaving individuals in need of legal advice unable to access justice. These concerning statistics underline the need for reasonable payment for this challenging work.